Society: Neo-Elves wander the trans-galactic interspace as roving bands, each consisting of several extended families. 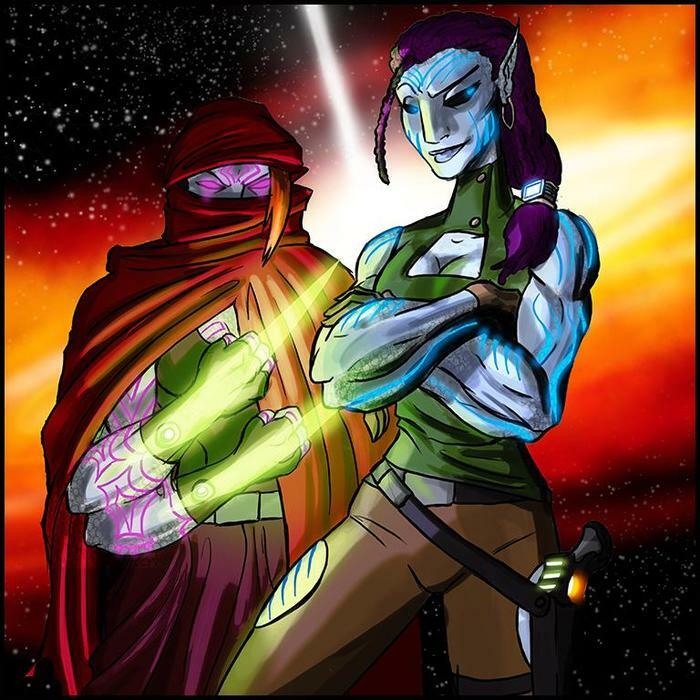 Few Neo-Elves form permanent settlements, although particularly large groups, such as the Ashkaezar or the Shirvaan, will often remain in a single system for decades at a time as they carefully gather resources and shape the local interspace to their liking. The exception are the Enelvar, who reside permanently in the vicinity of the Qualondes Complex and have transformed the nearby systems into a massive work of transdimensional art. Technology: Neo-Elven design focuses principally on stealth and speed, using organic crystal to craft items of unparalleled beauty. Their ships are powered by directly tapping the internode potential of a given point in space, which provides a difficult to maintain but nearly limitless source of power.